Backes et al. set out to more clearly define risk factors for aneurysm rupture – information which could significantly impact patients’ lives. They compared geometric and morphological characteristics of ruptured and unruptured aneurysms within the same patient in a cohort of patients who had aneurysmal SAH and multiple unruptured intracranial aneurysms. One of their most interesting findings is that although aneurysm size was the strongest risk factor associated with rupture, the aneurysm that ruptured was not the largest aneurysm in one third of their cases. These results are meaningful. In clinical practice, many decisions regarding aneurysm treatment are based on size; however, it’s clear that size alone is not enough to accurately predict risk of rupture. When the authors adjusted for size and location of aneurysm, they found that a higher aspect ratio and an irregular shape were strongly associated with risk of rupture. But, as the authors note, it is difficult to truly know if aneurysm shape and size are the result rather than the cause of rupture. This again highlights the fact that the current tools and methods used to characterize aneurysms are limited. Bottom line: We need better ways to evaluate the risk of aneurysm rupture and relying solely on size is not sufficient. Impaired glucose tolerance is a spectrum, and often clinical outcomes in stroke are addressed with consideration only to diabetic patients. This study sought to characterize impaired glucose tolerance and prediabetes in outcomes after stroke in a Chinese population. The ACROSS-China study enrolled 2,639 patients with ischemic stroke and measured glucose tolerance using the WHO criteria of impaired fasting glucose and/or impaired 2-hour glucose tolerance test. The outcome of the study was stroke mortality. The HR of death at one year was 3.2 (95% CI 1.6, 6.6) after adjustments. The majority of the stroke deaths at one year were categorized as secondary to the stroke itself. 12% of participants died at one year, and the median NIHSS on admission was 4 in both groups, so severity of presenting stroke seemed not to account for the difference in mortality. There was no difference on dependency or stroke recurrence between groups at one year. This large, well-orchestrated prospective study shows convincing evidence that stroke mortality is increased by glucose intolerance. Several questions, however, remain after consideration of these results. The first is, what were some details about the deaths in study, and how could these characteristics account for the comorbidity of glucose intolerance? For example, were the majority of deaths within the first 30-days, because thereafter, the death was likely not secondary to the stroke itself, but more likely complications of infection, VTE, MI, or other post-stroke complications. Lastly, is it important to consider the difference between diabetics and pre-diabetics in terms of mortality, as this was not delineated. This is important evidence that measuring the impact of glucose intolerance after stroke is critical to improve post-stroke care. Consider the significance of a biomarker that could help prognosticate and be a target for intervention. If we could measure levels of a protein after an acute stroke, and depending on the prognosis it portends, harness the tools of molecular biology to change its level to achieve good outcomes – that would be revolutionary. Angiopoietins are proteins with important roles in vascular development and angiogenesis. 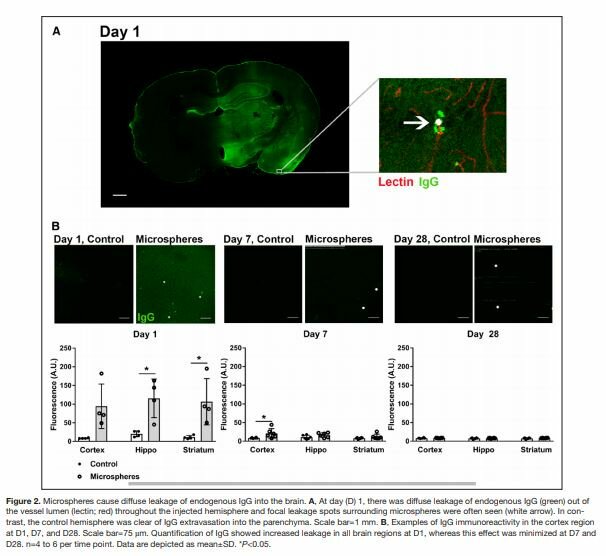 Animal models have suggested that Angpt1 protects against cerebral ischemia. In this article, Golledge and colleagues study the association of Angpt1 with stroke occurrence and outcome in humans. To assess the association of Angpt1 concentration with ischemic stroke, plasma Angpt1 was measured in 336 patients who had experienced a recent stroke and 321 healthy controls without previous stroke. Median plasma Angpt1 was found to be 3-fold lower in patients with a recent stroke. To study Angpt1 association with outcome, 285 stroke patients were reassessed at 3 months and they found that plasma Angpt1 on admission was lower in patients who had severe disability or died at 3 months, compared to those with minor disability. The above results could mean that patients with lower circulating Angpt1 are at greater risk of incident stroke. To assess this, 4032 community acquired older men from a separate cohort, followed prospectively for 6 years were examined and plasma Angpt1 was not predictive of stroke incidence. The study, of course, needs to be examined in larger cohorts, but it suggests that Angpt1 is down-regulated after ischemic stroke and that the degree of down-regulation is associated with overall stroke outcome. Consequently, will interventions to up-regulate Angpt1 improve stroke outcome? Regeneration and repair is the next frontier in stroke, and post-stroke angiogenesis can indeed promote regeneration. Despite the abundance of basic science research, we still have few effective therapies in stroke. Lets hope that interventional targets such as Angpt1 will overcome translational roadblocks and make it from bench to bedside. Given the extensive data now available from multiple clinical trials of IV-TPA, one might expect to find clinical factors predisposing patients to harm versus benefit that could help guide treatment decisions. Whiteley and colleagues explored this question by analyzing data from the IST-3 trial. They were able to predict which subjects were most likely to experience symptomatic ICH (sICH) or poor functional outcome. Surprisingly, the patients at highest risk for sICH or poor functional outcome also received the most benefit from IV-TPA. The authors used logistic regression to develop a new model to predict sICH and poor functional outcome in subjects from the IST-3 trial and compared this new model to several other prediction models validated on prior datasets. Nearly all of the models showed at least moderate ability to predict sICH and poor functional outcome. A very simplified model that included only age and NIHSS was equally effective at prediction. The models were stratified into mild, moderate, and severe risk of sICH or poor functional outcome. Paradoxically, the authors found that IV-TPA was most beneficial for those subjects who fell into the severe categories. This study reinforces lessons learned from IST-3 and provides insights into our lack of a precise predictor for those who will develop sICH. IST-3 made the case for eliminating advanced age and high NIHSS as contraindications to IV-TPA. The current study puts these findings into perspective. The very factors that predict a higher rate of sICH and poor functional outcome also predict less long term disability in response to treatment with IV-TPA. Of course those with large vessel occlusion are more likely to benefit from IV-TPA and more likely to have sICH, which may explain these counterintuitive results. The current study also highlights the need to identify a much more specific prediction marker for sICH. 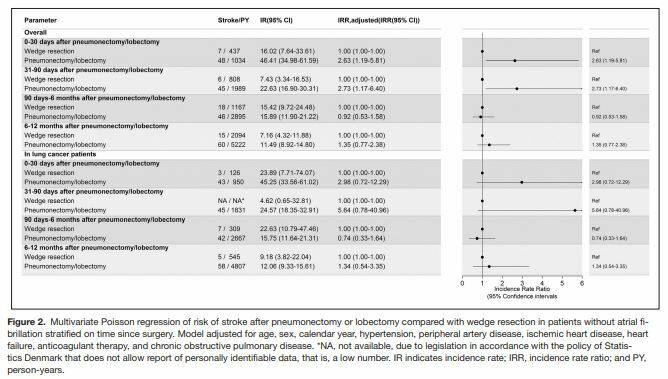 Using current sICH markers to decide when to withhold TPA does more harm than good. While awaiting a better biomarker for sICH, we should forge ahead and not exclude patients from IV-TPA simply because of advanced age or high NIHSS. Early DWI Reversal after Endovascular Reperfusion: Transient or Sustained? Finding ways to improve patient outcomes with endovascular reperfusion therapy is a hot topic. Inoue et al. examined the frequency and extent of early DWI lesion reversal following endovascular treatment. Specifically, they looked at whether areas of reversal were sustained and they explored whether or not DWI lesion reversal positively impacted patient outcomes. They found that early DWI reversibility is not unusual, but this reversal is not typically sustained. Additionally, they did not find that this transient DWI reversal was associated with favorable clinical outcomes. The fact that DWI reversibility was not sustained can be interpreted as a set-back for the procedure – if tissue cannot be salvaged, is this procedure helpful? But, in this study, it is important to note that the onset of symptoms to start of endovascular treatment was ~6 hours. So maybe this speaks to a timing issue – perhaps if the procedure begins less than 6 hours after symptom onset, we might see an increase in the tissue that sustains DWI reversibility and this might translate into improved clinical outcomes. Research and data have tempered the stroke world’s excitement for endovascular therapy. Selecting the patients that would benefit from this procedure has been difficult. This article speaks to the importance of timing. Let’s start interventional reperfusion in less than 6 hours and in these cases, whether or not the DWI is reversible won’t be as important. Transient cerebral arteriopathy (TCA), also known as focal cerebral arteriopathy, is a well recognized cause of ischemic stroke in the pediatric population. It is characterized by unilateral intracranial large vessel stenosis, that typically resolves on serial imaging, quite like RCVS. Over a hundred cases have been described in the literature, but the patients were of Caucasian origin. Je Young Yeon and colleagues describe a Korean cohort of 74 pediatric patients (<18 years old) who had acute ischemic stroke and intracranial arteriopathy. Amongst the 74, there were 29 patients with unilateral large-artery arteriopathy and 25/29 had repeat vascular imaging and cardiac or hypercoaguable etiologies excluded (by report). The radiologic outcome was reversible in 17 patients (68%), who are presumed to have TCA, progressive in 5 (20%), and stable in 3 (12%). The predictors of TCA in this cohort were beading of the affected vessel and basal ganglia infarction, while ipsilateral PCA involvement and abnormal vascular networks were predictive of progressive arteriopathy. The data presented here is novel and of interest, mainly because Asians have higher incidences of intracranial arteriopathy in both the adult and pediatric populations (moyamoya). However, this is a very limited study. We have no informative data about the patients’ clinical course, outcome, or diagnostic workup apart from the imaging studies. We are not told what treatment was provided in the reversible versus progressive or stable groups. I would not feel comfortable prognosticating or truncating a diagnostic workup based on such small numbers and sparse data, but await future meta-analysis and larger cohorts with increased curiosity. Wake-Up is a multicenter trial using imaging based criteria for entry, funded by the European Union, to determine if emergency stroke care (and r-tPa) can be extended to those who wake up with a stroke. Galinovic et al. seek to demonstrate in this paper how interrater agreement in FLAIR signal can be improved by using quantitative techniques. The ratio of DWI signal to FLAIR signal (or DWI-FLAIR mismatch) may provide important information about the timing of a stroke to less than 4.5 hours of onset, which is the cutoff for approved r-tpa use. The trial uses for inclusion in addition to the mismatch, the exclusion of hemorrhage, and a DWI lesion <1/3 the MCA territory. As FLAIR positivity is subjective, the opinions of 2 senior neuroradiologist were taken as the “gold standard” and 6 individuals rated 143 cases. Additional raters processed a subset to compare relative signal intensity (rSI) in the contralateral tissue. An ROC-analysis was used to find the threshold, which corresponded with the “gold standard of FLAIR positivity. Raters on an additional subset of cases prospectively tested this threshold. The raters had a low rate of agreement between each other (kappa <0.5). The signal threshold (called rSI) did not improve the interrater agreement. The importance of this study is that it demonstrates that aspects of FLAIR positivity cannot be quantified, and are indeed subjective (and dependent on the rater experience). Automated methods such as rSI can be used as a “back up” to the human eye, as the authors suggest, but did not add additional information when used with the subjective analysis. The efforts to standardize imaging biomarkers used in treatment decisions is important, especially to compare results across trials and look forward to extended trial results to a clinical population. How Much Do Women Know About Stroke? Mochari-Greenberger et al. reviewed data from a 2012 American Heart Association commissioned telephone study to evaluate knowledge of stroke warning symptoms in women > 25 years of age. A survey of 1,205 English speaking women revealed that their knowledge about stroke symptoms were low. 51% knew that sudden weakness or numbness on one side of the body or face was a stroke warning sign. But, less than 20% knew that loss of vision or unexplained dizziness may be a stroke symptom. Fortunately, 84% of them knew to call 911 if they thought they were having a stroke. There were no significant differences by racial/ethnic group (black, White, Hispanic, or other), but this was likely limited to a survey of English speaking participants only. The survey was also conducted via open ended questions (similar to previously performed surveys sponsored by the AHA) which may require a higher level of knowledge awareness than passive recognition. What is more heartening is that 4 out of 5 women knew to call the ambulance when they thought they were having a stroke. Of course, if they happen to have unilateral numbness or weakness, of which 50% of them would recognize it being a stroke, it means that only 4 out of 10 women would be able to connect the dots to that “I’m having one sided weakness, I must be having a stroke and therefore, call 911” moment. This recent survey suggests some modest advancement in stroke symptom knowledge and activation to call for help, but a lot of education still needs to take place. The majority of left atrial thrombi involve the left atrial appendage. The surface ECG may not always reflect underlying left atrial appendage mechanical function, rather surface ECG p-wave reflects atrial body activation. Transesophageal echocardiography has the ability to record left atrial appendage pulse wave Doppler and determine weather flow pattern corresponds to the mechanical function of the sinus rhythm of atrial fibrillation. In this retrospective trial, a total of 208 consecutive patients with available TEE were screened, for which TEE LAA data were available on 201 (96%) patients. Discordance between the ECG/mitral valve motion rhythm and the LAA PWD phenotype was noted in 15 (7.5%) patient with 7 (3.5%) demonstrating AF discordance (SR on ECG/MVM and AF phenotype on LAA PWD) and 8 (4.0%) demonstrated SR discordance (AF ECG/MVM and SR LAA PWD). The AF discordance group had significantly higher prevalence of LAA SEC, larger LAA area, longer length, lower LAA ejection velocity, and higher CHADS2-VASc. LAA thrombus was noted in 6 patients, all of whom had AF concordance. Prothrombotic AF phenotype persists in the majority of the paroxysmal AF patients despite SR on the surface ECG recording. The authors are advocating use of anticoagulation in AF phenotype patients independent of the surface ECG. I agree that assessment of LAA phenotype in all patients undergoing TEE is warranted, but I would take a step back and rethink their suggestion for use of anticoagulation. In the post CRYSTAL-AF era, left atrial appendage pulse wave Doppler phenotyping could help in better selection of the patients that would benefit from the anticoagulation, but this would need to be answered in the prospective randomized trial. Little is known about what happen to Mexican Americans (MA’s) -the largest Hispanic population in the United States, after they suffer from stroke. Lisabeth et al. looked at a large database of patients specifically in one geographic region, that has a substantial population of Mexican Americans (South Texas). Out of over 1,000 patients in the cohort, 720 had full interview and clinical data during post stroke recovery. The researchers learned that MAs had on average slightly higher NIHSS at 90 days (3, compared with non-Hispanic whites (NHW) with NIHSS of 2), more likely to have disability requiring assistance with activities of daily living, and worse cognitive outcomes. In general MA’s tended to be younger and lived longer than the NHW cohort. This suggests that more work should be done to study these discrepancies and learn what types of interventions maybe most effective in prevention of strokes in a younger population, as well as better care in the post-stroke recovery phase to prevent long term morbidity. Because the MAs tend to be younger, the impact on better stroke care could have a great social and economic impact, as these patients tend to live longer. Unfortunately, likely for a multitude of reasons (not fully delineated in this study) but what I suspect to be a combination of lower social economic status, low health literacy, lower general literacy, MA’s maybe less likely to receive the full multi-disciplinary care needed for stroke patients, and even after receiving care, may have less long term impact on their disease condition. Fortunately as the NINDS has made it a goal to focus on stroke disparities and more attention and further research efforts will expand to learn about the ethnic-social differences in stroke epidemiology.